Posted byRed Lips High Heels December 18, 2012 Posted inChildren and Family, Personal Stories, Women’s Roles and SituationsTags: Convivialité, Discrimination, Femmes, Moyen-Orient, SoumissionLeave a comment on Gentille ou Bad Girl? Religious Identity versus Feminist Identity? 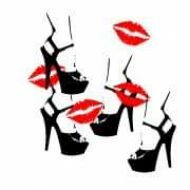 Posted byRed Lips High Heels December 16, 2012 Posted inBooks' Reviews, Women and Religions, Women’s Roles and SituationsTags: Dialogue, Feminism, Middle East, Religions, WomenLeave a comment on Religious Identity versus Feminist Identity?